7th Pay Commission the facts and the lies spread by media, especially the business media. The Government approved the setting up of VII Central Pay Commission and as usual the media guys were quick to pounce on the government and the employees. The business media was more particular about the impending doom theory, notional loss theory the chaos theory and what not. Do they give a dime about the government employees working in remote areas, the soldiers protecting the country from alien attacks and internal strife's, the railway employees visiting their homes only twice a month or the postmen sweating it out in the sweltering heat or thundering rain while these media persons sit in there air conditioned cabins and write about all the doomsday conspiracies about the effects of 7th Pay Commission. No I am not writing this article to squabble with all media guys but a select one that appeared in the FirstPost. This article is written by Mr.R.Jagannathan, editor at FirstPost who presents a Chaos Theory where the UPA has approved the 7th CPC to un-stabilise the next elected government. Mr.Jagannathan must no doubt be earning a 6 figure monthly salary but the gist of his writing are read by millions of website visitors and the article not only represents a negative perspective about Government employees, it does not take their account into consideration. I have read the article and will try to give a point wise reply to Mr.Jagannathan. But the announcement of the Seventh Pay Commission on the eve of assembly elections to five states leaves no room for any doubt that the UPA plans to leave a poisoned economy when it leaves office in 2014. The obvious political calculus is that the next government will be up to its neck in economic rubble for at least two years, after which, assuming there is a coalition of regional parties in power, there will be a compounding of the mess. The Congress hopes to ride the chaos and come back to power in 2016-17. It is the right of government employees to get a pay commission every 10 years. The UPA's fortunes have nothing to do with it. Does Mr.Jagannathan think that Pay commission should only be awarded to the government employees when the Government is doing well. If so why does the private sector have yearly appraisals where they are given hefty increments and bonuses. Does Mr.Jagannathan in his full wisdom suggest that, the employees pay commissions are not to set up because the ruling coalition is in a minority. How does setting up a Pay commission poison the economy. The UPA cant implement the Pay commission report even if regains power till 2016 and rarely have government implemented any pay commission's report on time. Mr.Jagannathan is spreading heresay with this article which poisons even the well read individual. Let me be very clear about the process of pay commission. 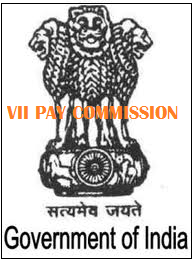 The Government has JUST approved the setting up of 7th Pay Commission. The implementation part is still in the hands of the Government which will be in power 2016 onwards and probably be awarded in 2018. No expenditure will be incurred on the setting up of the 7th CPC except for the salaries and office expenditure of the 7th CPC panel which will be constituted soon. Hence there is no question of poisoning the economy. Consider also the dates of various pay commissions. The first one came in 1946, the second one in 1957, the third in 1970, the fourth in 1983 and the fifth in 1994. The sixth one came in 2006. It was implemented in 2008. Between two commissions the minimum gap has been 11-13 years. The seventh one is the only one to come after just seven years. Mr.Jagannathan you are either naive or not well versed with Government policies. As said above, the government has JUST approved the setting up of 7th CPC and implementation may take another 4 years. And for your kind information, Mr.Jagannathan if we go by the rules the VII CPC should have been implemented in 2010 as the first one was in 1970. The decision is thus wrong for several reasons. First, there is the issue of propriety. Setting up a commission just before the elections, and that too before its time, clearly indicates a mala fide political motive. Some five million government servants, and three million pensioners will benefit. It’s about a vote bank, even if the resulting deficit busts the government’s own fiscal bank. Second, it is completely irresponsible. The government’s finances are in the worst possible shape right now. The fiscal deficit is worse than it was it was in 2003-04, the last year of the NDA. The NDA took the right decision to postpone the pay commission; the UPA has the done the opposite when the situation is worse (expected fiscal deficit of 4.8 percent) and growth is slowing (sub-5 percent). Third, it is the wrong thing at the wrong time. The high fiscal impact of the Sixth Finance Commission – an annual recurring expense of over Rs 22,000 crore at the centre excluding states – was one of the factors that triggered high inflation and the subsequent growth slowdown. But in 2008 Lehman was yet to happen and the economy was on a cyclical upswing; this time, it is the exact reverse. The economy is on a downswing, and the fiscal situation is parlous. The pay commission will ensure that inflation gets worse, the exchequer gets into a mess, and the growth slowdown will accelerate. First and foremost the intentions of the ruling party is not the issue. There are 35 lakh active employees and around 50 lakh pensioners. The Railways has another 55 lakh employees and the defence establishment has classified number of employees. These employees are guaranteed of a 10 yearly pay increase just like Mr.Jagannathan you are granted yearly pay rise. The Government employee is often the sole bread earner in the family and has to work in the remotest of work places without any complaint. They are actively working in the naxalite infested areas as Block Development Officers and Clerks. Whole of the Government machinery depends on these Clerks and Group D employees. At present they are given Dearness Allowance twice a year to allow them to cope with the rising inflation. They are also give 3% increment every year. If you take a normal employee with a Rs.8000.00 basic and Rs.2000 Grade Pay, do you know what that employee gets every year to cope with the rising inflation and the high cost of living. He gets just Rs.2100.00 over the pay he drew last year (18 % DA for year and 3% increment). Do you Mr.Jagannathan would work for a whole year with only Rs.2100.00 increase. I dont think so, you would immediately jump jobs but for a Government employee this is not possible. In Indian context, the Government is into everything. The employees are not into everything by choice, they have to just follow the orders. Since you are a business journo, you may know that the recent shutdown of the United States Government due to political bickering is going to shave near about 1% of the United States GDP for the current fiscal. That too when US follows capitalist model of economy and the government is only active in select areas. By contrast the Indian Government follows the Nehruvian principals of socialism and the Government is into everything. It may sound odd but if this kind of shut off where to come to India, it would shave at least 50% of Indian GDP. Mr.Jagannathan it would be wise to be informed about things you write before passing half baked and unresearched judgements through your writings. They create more mala-fide opinions then the Governments approval by not presenting or not allowing the other side to present their arguments. India is still a developing country for your kind information and lots of stomachs depend on the Government policies. And finally Mr.R.Jagannathan, the Government doesnt work on theories like your Chaos Theory suggestion. It runs on the strength of millions of Indians who dont pass judgement but work whole heartedly towards building a new India for our future generations. Economics is a funny things, and perhaps by 2016 India may be once again on the path of 6 percent + growth, that time you will again find a different theory for not making justified and due payments to the government employees! That was a well written reply to a particularly nonsensical news article. Besides, when even a 5% raise in DA raises a hue and cry that the govt. has to spend this and that to bear the extra cost, no wonder we hear such remarks from people like Mr.Jagannathan.